for extra storage of clothes. Have very small closets. Looking for additional space to hang clothes. One of these will help hang clothes while I am doing laundry downstairs until I can take them upstairs to hang in the closets. I need more clothes hanging space in my closets. 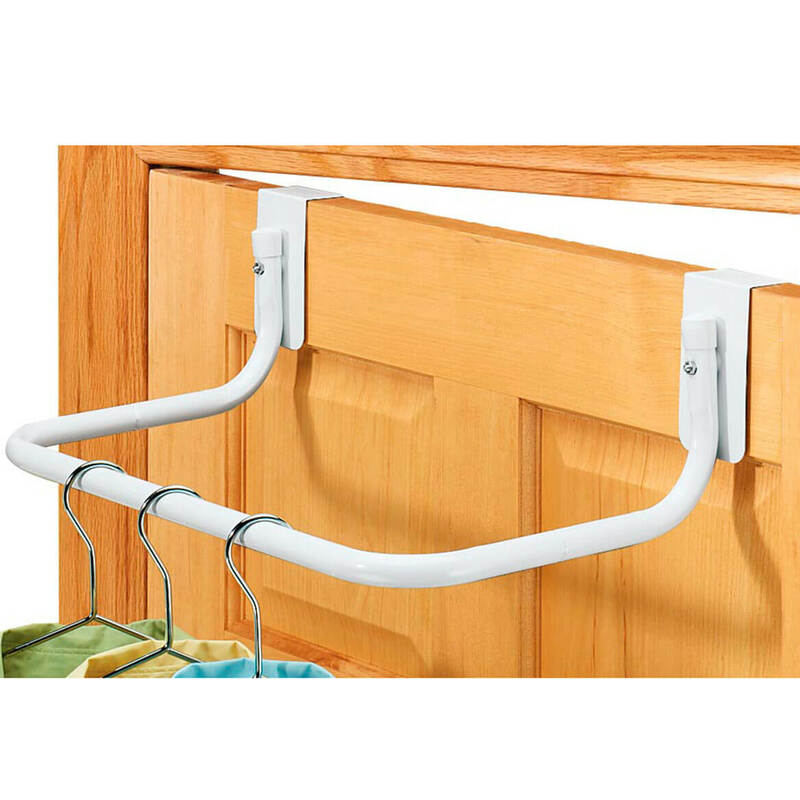 I chose the over the door rod to put on the outside of occupied closet doors when I have guests at my home. have a need for it and it looks convenient. Perfect extra place to hang clothes. I want to have a door closet for my weekly outfits. My apt is small and was looking for a creative way to hang my coats. To use on vacation where there is no closet space. Need closet space. I couldn't use over-door brackets, they were to small. To hang wet clothes I don't put in dryer. One for coats. When I have out of town company, I can put this on the door because there is not much closet space. My closets are small and these help to hold everything. Same reason downsizing~Moved to smaller apartment so need in laundry room~! Have purchased one and needed another. Love the extra space it gives when doing laundry! Because it allows for hanging clothes on the bathroom door while still being able to shut the door when needed. My laundry area is very small and there's no place to fold or hang clothes. This will fit perfectly over the pantry door so I can hang as I take out of the dryer. because I have small living space and a few items need to be pressed and hung up. We need it in our RV. You can't shut the door, if this is hanging on it? BEST ANSWER: It depends on your doors - our door (where we wanted to use it) was a perfect fit, meaning there was not even a 1/32nd of an inch to have this item hang on it. Although the top of this specific one appears thin (where it hangs over the door) I'd bet that piece of steel is at least 1/16th of an inch. I would get a knife, Metal Ruler or anything that is a little rigid and measures 1/16th in width - close your door, while holding the 1/16th of a inch piece on top of the door. Try to close the door with that over-the door piece where you want it. Then check 19" across the door where the other steel piece would go & try to fit your 1/16th thingamajig at that spot & see if you could close the door with it there also. If it's gonna be a tight fit, it will shortly (maybe in a month or so or less) start making gouges in the wood or painted door & painted door Jamb, from the top pieces rubbing against the top door jamb. If you've got the 1/16th of an inch room - go for it! If you don't have enough room you can 1) shave the top of the door in those 2 spots using what I think is a PLANE (hand too) to MAKE room (Google "how to shave off the bottom of a door", lots of suggestions, or just never shut that door all the way & little by little it will make room in the top jamb (won't be pretty though). Ours happened to be all new construction - so I didn't want to "ruin" a jamb!!! I just, unfortunately, couldn't use the product - can't remember if I returned it, or probably just gave it to someone who COULD use it! Hope this helps!!! Unfortunately, because the door fits its frame, this added dimension may not allow the door to close completely. I like the convenience of the additional hanging space, but the disadvantage is there, too, if the dimensions of the door's opening don't allow for the minimal extra clearance needed.. I have these Over the Door Clothes Rods on two doors in my home. The "over the door" part is very thin and I have no problem closing the doors. The rods are very convenient for items I hang dry, or when extra space is needed. I have few millimeters gap between my top door frame and the door that is why this works fine. Yes, you can shut the door. I use my Over the Door Clothes Rod everyday and Love it. I have no problem shutting the door and was purchased in 2013 and am still using. I have mine on the inside of my closet door, and it shuts fine. My door closes without any problem. How many shirts can be hung before tubing bent [weak tubing mentioned in 2 reviews]? lighter weight shirts).........on the rod at the same time and have never had any problem at all. Unknown. I use it to hand jeans and jackets to finish air drying -- have yet to have any issues. I love it!!! Depends on how close you want the shirts to be. How far does this extend out from door? BEST ANSWER: It extends about 10 3/4 inches from the door. BEST ANSWER: Thank you for your question. It holds up to 44 lbs. We hope this information will be of help to you. Exactly whar thickness of door will this fit? 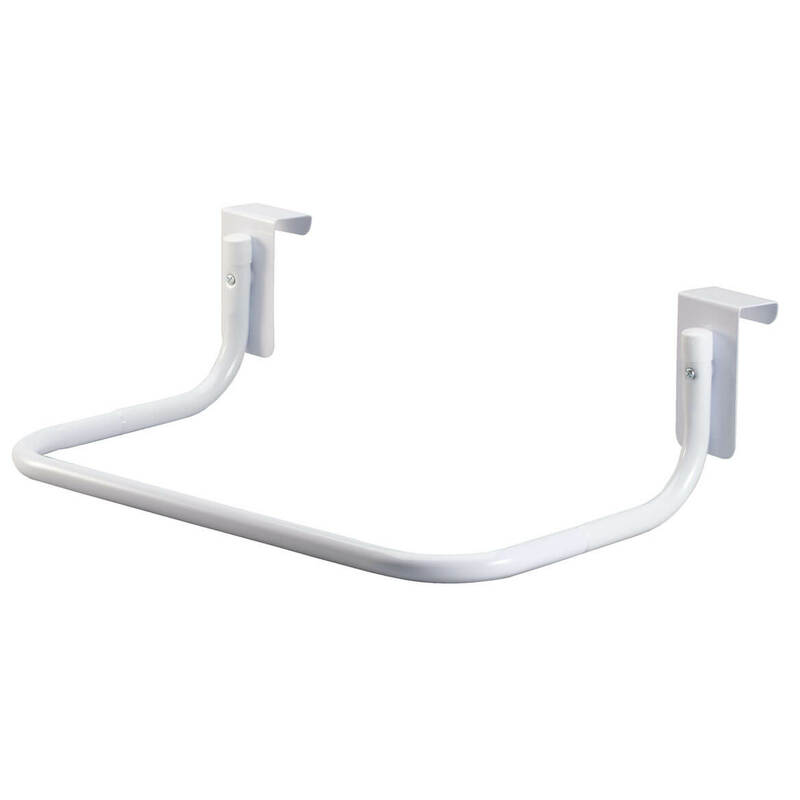 Also some reviews have said the part of the hanger that rests on the top of the door impedes door closing, while others have had no problem. Someone said the bracket was 1/16th inch thick. Is that accurate? BEST ANSWER: Thank you for your question. This will fit any door that is 1 1/2 inch thick. We hope this information will be of help to you.